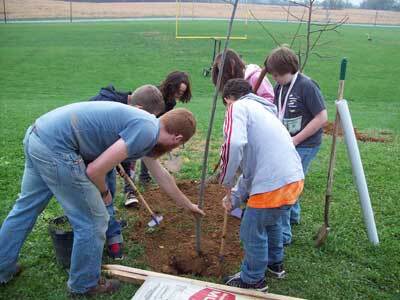 On October 26th 2012, faculty and students at Wildwood Middle School planted 12 shade trees on their campus. 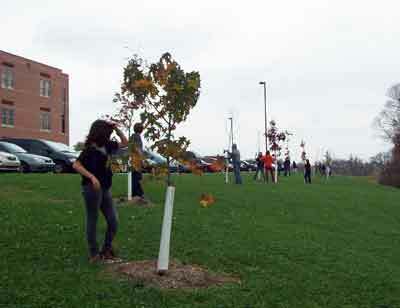 More than 50 students participated in the planning and planting of 12 native shade trees on the east side of Wildwood Middle School. 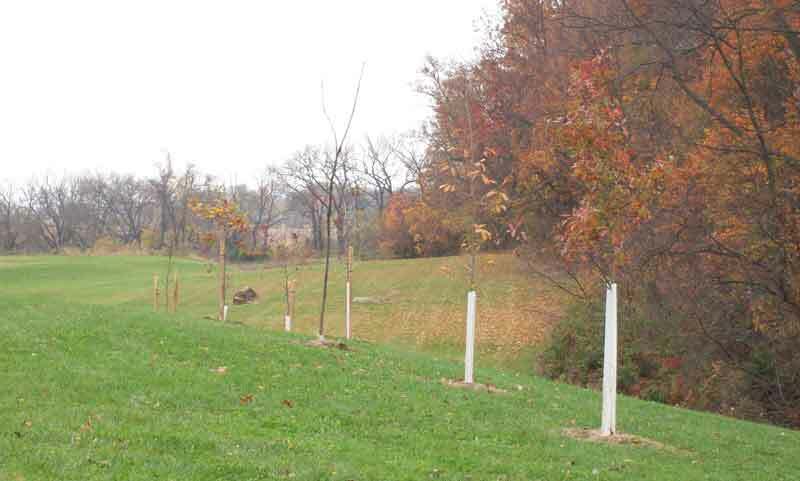 The fall planting extended the line of trees which were planted in the spring of 2012. 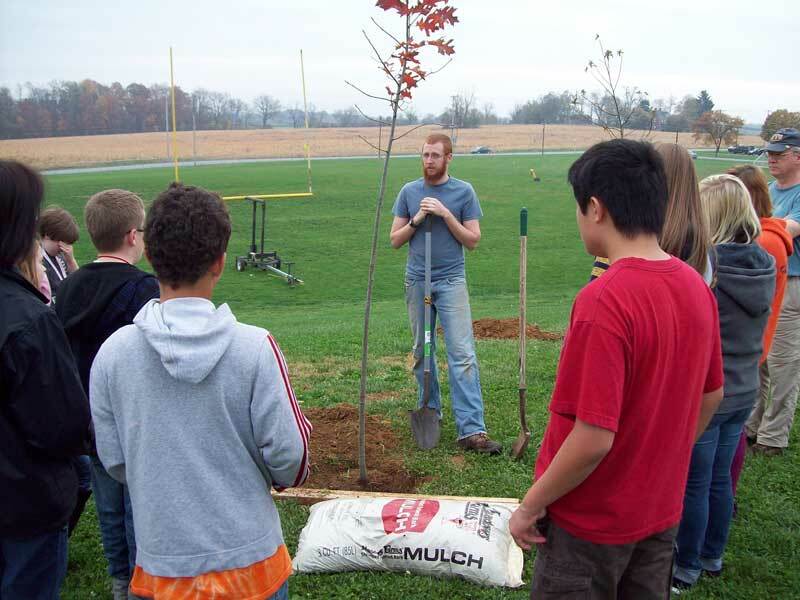 Since 2009, Wildwood Middle School has planted more than 35 trees with the support of CommuniTree, Cacapon Institute and the WV Department of Forestry. The school was built ten years ago and more trees have been planted in the past four years that all the previous years. The students, faculty and staff of Wildwood are enjoying the changing look of the school campus. Prior to the installation of trees on October 26, faculty advisors Carolyn Thomas and Charity Marstiller selected and marked the planting sites and ten students from the Agriculture Science class prepared the planting sites - digging holes by hand. On the planting day, four teachers, one aid, one community volunteer, and a WV Project CommuniTree Representative worked with the students to plant the trees. Students who participated in the planting included students in the Wildwood Environmental Club, Agriculture Science, 7th grade Science and English for Language Learners classes. Planting began at 8:30 and by 12:00 all the trees were planted and mulched and watered. It was a warm fall day which was followed by a rainy day - perfect for new trees.